For Danny Lafuente and Dan Maslow, the issue of hunger was something that was front and center for them while we were developing the idea of Simple. So many organizations and brands work to alleviate problems abroad, but we wanted to make an impact at home. We wanted to do this by providing a high-quality product where every bottle produced, not just sold, contribute to organizations like Feeding America. Thus Simple vodka was born- a high quality, farm-to-bottle vodka with a business model that results in the donation of 20 meals per bottle produced; effectively one meal per drink. Through partnerships with local and national hunger relief programs, Simple Vodka is helping end the fight with hunger, one sip at a time. Danny Lafuente and Dan Maslow, often referred to as “the Dans,” met at the University of Pennsylvania in 2006 while pledging Beta Theta Pi. After graduating, the two were inspired by fellow university alumni companies, like Warby Parker and others in the social entrepreneurship space, to create a product that generated a positive social impact. The Dans knew that they wanted to create a product that would empower consumers to become active philanthropists in the fight against hunger in America. After a night out in Miami drinking Moscow Mules, they realized the answer was right in front of them…and they were drinking it—vodka. The Dans researched dozens of organizations working on hunger relief programs across the country, specifically supply chains and how they feed those in need while also reducing food waste. They discovered that while most food is donated and pre-sorted by volunteers, the cost of storing the food and delivering it from fulfillment centers and food banks to those in need is high. These organizations need financial help and Simple is the perfect solution. On their journey to develop Simple Vodka, the Dans visited distillers across the country and were enchanted by potato vodka. Eventually, the Dans were introduced to master distiller Gray Ottley of Distilled Resources Inc., who joined the team to develop the vodka in a sustainable way in the fall of 2016. The Dans stumbled upon a partner that could help them deliver a superior quality product. At the same time, Dave Bourne at Ignite Spirit Branding designed the Simple bottle—with the brand’s mission clearly printed on the label. “Our support of national and local charities such as feeding America, represents the bulk of our giving. Our mission to help fight hunger in America is the first and foremost focus on this product, however we are dedicated to providing a high quality product for our consumers to enjoy and love, just as much as we do,” said Daniel Lafuente. Since launching in Florida, New York, and California in May 2017, Simple has donated more than 29,000 meals, and aims for a goal of achieving 30 million meals annually by 2020. 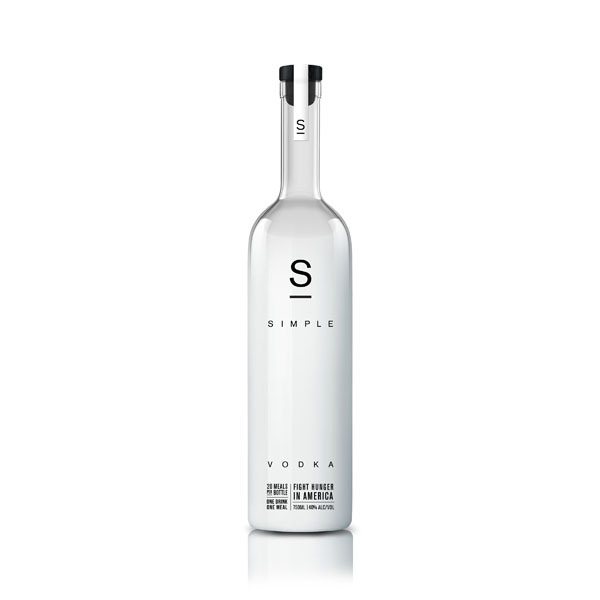 Simple received a double gold medal from the 2017 San Francisco World Spirits Competition in recognition of the vodka’s high-quality, premium taste, flavor and mixability. 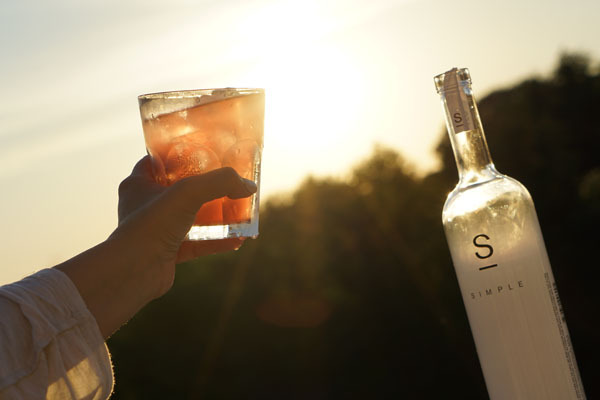 Simple Vodka provides a quality product using sustainable manufacturing practices at an affordable price to generate a positive social impact. Visit simplevodka.com to contribute to this incredible cause by purchasing a bottle of simple vodka and watch the number of meals grow live on the website.